Athena brings her armor to war with your adversaries. 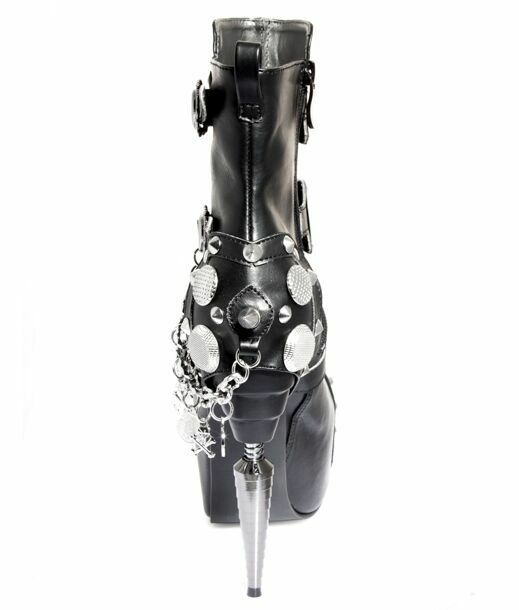 Black high-ankle boot with studded toe, and concealed platform towers over the machined metal spear head heel. 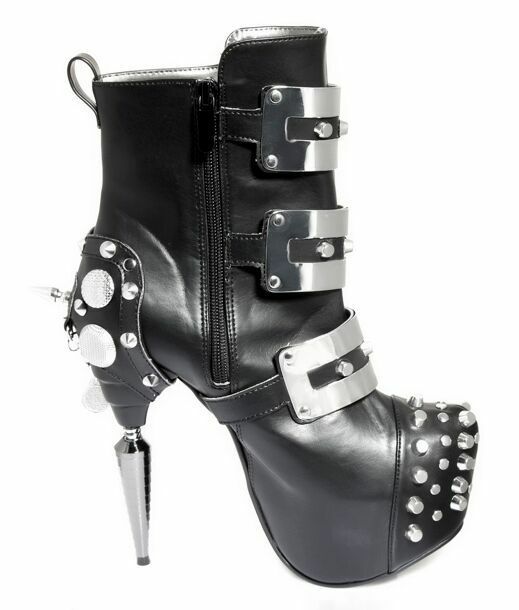 3 Chromed metal cut-out plates adorn wrap belts on the front throat of boot. Accented with flat head studs & flame buckles. An ornate chain shows off a collection of coins and skull-&-cross-bones charms. 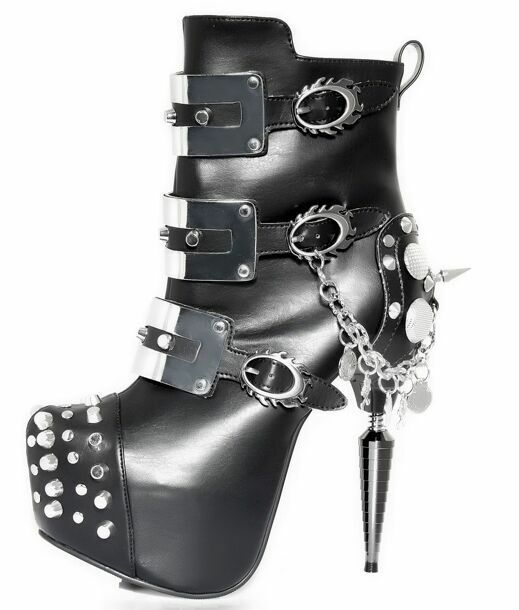 Metal gizmos, studs, & spikes decorate the heel cup. Heel height is 5" and the platform underfoot is 2". Zips at inner ankle for easy access. To war! 100% vegan materials, even the glue.